Sometimes, we get partial ideas for characters that need to be fleshed out, lest the result end up one-dimensional and not convincing. An example would be a speculative fiction author who has a great idea for a setting, which suggests to them a method of conflict, and needs characters with the proper motivations to act out that conflict. Another would be when an author has an idea for a character with a specific motivation, but needs a flaw or other internal conflict (see below) to increase the tension of the story. For these reasons, I’m going to break down the components of characterization as I see them and offer a list of specific examples which can be used to seed ideas or fix “problem” characters. Just remember that the purpose of these lists is to spur creativity, not to inhibit it—they are meant to be a starting point for generating ideas, not an all-inclusive database of possibilities. All (good) stories have a character with at least one strong motivation. Of course, any living person has various motivations at any given time—to eat, sleep, alleviate boredom, etc. What differentiates motivation from a fictional standpoint is proportion; a main character must be motivated strongly enough and long enough to maintain the story over its entire length. Han Solo’s desire for money conflicts with his desire for love. In many stories, the main character has only one “main” motivation, and this is enough to drive the plot forward to its conclusion. While characters like this can work, they also present more of a challenge to keep them from becoming tiresome, because a single-minded character is, by nature, predictable. Likewise, it’s much easier to make a compelling character with two motivations that conflict with each other, sometimes referred to as an internal conflict. Such a character must not only struggle against whatever external forces are arrayed against him or her, but must also constantly decide which of their motivations is more important to them at any given moment and should be used to guide their decisions. Of course, it’s also possible to add three or more motivations for a single character if one wishes, as long as we remember that each additional one comes with a cost of making the story more complex, and therefore possibly more muddled. Another important aspect of motivation is change—characters do not have to keep the same motivation throughout the course of a story. Although much successful genre fiction has been written with the basic “problem -> solution” archetype, some novels will encompass a significant portion (or all) of a character’s lifetime, and during that time the character’s goals and desires can and should change. For characters with an internal conflict, often the story ends with the character renouncing or elevating one motivation in favor of another, and this represents a concrete change in their behavior or circumstances that makes the story more poignant for the reader. Also remember that motivation alone doesn’t make a great story, because everything we’re discussing takes place inside the character’s head. Unless your entire plot is just a character pacing in their room, arguing with themselves about what course of action to take, your story will also need a strong external conflict, i.e. a problem that prevents characters from acting on their motivation(s). This is perhaps the most basic of all motivations, and the most general—any motivation given below can be phrased in terms of desire (desire for justice, desire for revenge, etc.). To keep things separate, I define desire as referring to a concrete goal that a character wishes to achieve. When the story takes place, fulfillment of the goal has not happened yet, and so the key to this motivation lies temporally in the future. Probably the most common desire-based motivation is to fall in love, but there are many other possibilities—status, power, money, acceptance into some group, etc. Try not to presuppose value judgments about your character’s desires. In modern western culture, stories about achieving love are usually taken to be “romantic,” while stories about acquiring money are thought to be based on “greed.” Remember that your characters are first and foremost human beings (or aliens or energy-based lifeforms or whatever). Every person believes in the righteousness of their own actions, and you as the author need to be able to see things from their perspective if you are going to write them accurately. Let the reader form their own conclusions. Fear is the opposite of desire. Once again, there is a circumstance or object that lies in the future, but this time the character wants nothing more than to avoid it. In many, many stories the fear in question is of bodily injury, imprisonment, or death, but it can also be for losing something desirable (a loved one?) or just about anything else that will significantly impact the character’s well-being. Some characters are motivated by duty to an external person or organization—the most typical being soldiers, police, etc. However, much more important in terms of fiction is duty to oneself, i.e. fulfilling one’s own moral code. A police officer might have a “duty” to his precinct to enforce the law, but from a story perspective he should probably be more interested in enforcing his internal sense of justice, and thus improving the lot of others or improving the world as a whole. If a character lets their externally-imposed duty override their own moral code, that could be a basis for an internal conflict. Duty, justice and morality are more “present-based” temporally than desire or fear; after all, there is no such thing as absolute justice for the entire world, there will always be another villain for James Bond to fight, etc. So even though duty can introduce a future goal of bringing a perpetrator to justice, it can also act as a day-to-day ongoing guide for characters to follow (or not). Curiosity is often a good motivation to begin a story, especially in horror or speculative fiction. However, in most stories the drive of curiosity is superseded at some point by another, more dramatic motivation such as fear. Revenge is a reactionary motivation—a character has been wronged in some way in the past, and so they take out their anger on whoever or whatever they feel to be the perpetrator. This is usually more effective in historical or fantasy stories where the lack of a competent legal system means characters must take revenge into their own hands, but it’s also easy to imagine revenge scenarios that take place in the modern day—watch the movie Trading Places for an example. 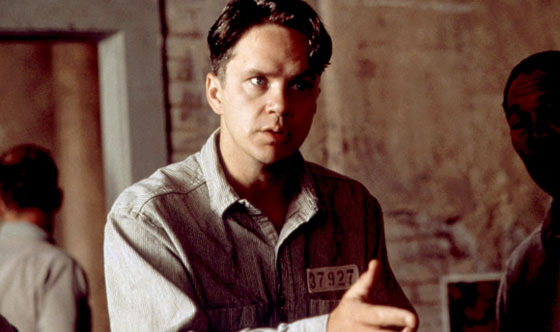 Andy Dufresne is a complex character with motivations including desire, catharsis and revenge. Catharsis is the opposite of revenge. Once again, a character has been wronged or had their life torn apart, except that instead of blaming others, they turn inward and try to determine how they can change themselves. Essentially, revenge for introverts. Obviously, a plot that relies mainly on catharsis is not going to be an exciting, guns-blazing adventure, but the details of a character’s search for meaning and self-fulfillment can make for some of the most emotionally gripping stories. Given the example motivations provided here, it should be obvious at once how they can be combined to give characters greater depth. A character could have two desires, but achievement of one could conflict with another. A character could desire one thing but be unable to achieve it because they fear another—or they can love and hate different aspects of the same thing. Catharsis and revenge make a great pairing as well, along with duty/desire, duty/fear, curiosity/fear, etc. Character flaws exist over a wide range of proportion, and their role in the story will vary accordingly. On the low end, they can be used as quirks, to “color” a character and give them flavor or weakness. If increased in proportion, a flaw can be used to drive an internal conflict in the same way as a secondary motivation, and thus can be one of the most important elements in the story. Edward Norton as Derek in American History X, a powerful portrayal of a flawed character who undergoes cathartic transformation. For example, consider the case of a character with an addiction (alcoholism), which could be considered an irrational or warped form of desire (just as a phobia could be considered an irrational form of fear). A character’s alcoholism might be incidental to the story as a whole—even though it’s an important part of their make-up, they are still somewhat high-functioning and the story is concerned with other aspects of their motivation and other problems they face. On the other hand, for the same character in a different story, their addiction might become more of a focus; their need for alcohol is so great that it undermines the achievement of their goals, and thus becomes an integral part of their internal conflict. When considering flaws, it’s important to remember that a protagonist usually needs some redeeming qualities in order for readers to view them sympathetically. For most people, reading is a form of wish-fulfillment, and no one wants to step into the shoes of a totally depraved psychopathic mess. (Brandon Sanderson has given an alternate method for making unlikable characters compelling on the Writing Excuses podcast: make them very, very proficient at something). (important note: I don’t distinguish here between a “flaw” and a “handicap.” I’m using “flaw” in the sense of anything that can be considered disadvantageous to the character in the context of the story. This is not meant to imply that the flaw is the character’s fault or that it couldn’t be desirable in some other way). Poverty, bad reputation, social stigma (minorities, women in many societies, etc.). Odious personal habits, albinism, poor eyesight/blindness, color blindness, hard of hearing/deafness, dwarfism/little person, epilepsy, obesity, too skinny/cannot put on weight, gigantism, hemophilia, lameness/missing limbs/paralysis, low pain threshold, muteness, anosmia, missing eye, stuttering, terminal illness. Personality can be a difficult thing to quantify, and as a result it’s an area where authors can easily fall into a “trap” of having characters that are superficially different, but tend to think and act the same. However, there are several well-known categorization methods for personality, perhaps the most popular being the Myers-Briggs method. Of course, authors are free to use other methods (or none at all) when thinking about their character’s personalities, but Myers-Briggs at least provides a basic and easy to understand starting point. There is plenty of information about M-B all over the web which I won’t repeat here, except to say that it can be tremendously useful to use online tests to sort your characters into M-B categories. You can tell at a glance how your characters are distributed over the spectrum of human personality, and if you answer a MBTI test “as” your character, the results may reveal new things about that character you hadn’t considered before. It can also provide some concrete examples of behavior for a character whose actions may seem mysterious or hard to nail down. Myers-Briggs was originally developed as a way to determine what occupations were suitable for people, and it can work in this way for fictional characters as well. However, consider also adding a twist by having a character play against type; what would happen if a character whose MBTI showed them to be perfect for military leadership was instead a schoolteacher? Or if a doctor’s personality was seemingly completely unsuited to his occupation (House M.D., anyone?)? It worked for Fitzgerald, why not you? Some authors may consider my listing of background last as an affront to the creative process, because they consider it to be an integral part of character creation, and the place from where every other trait listed above grows. Although it is possible to start with a character’s background and build the story from there, I’ve always preferred to work backwards, imagining the character and story I want first, and then filling in the background details (place of birth, home life, cultural mores, occupation, etc.) as needed. Oftentimes, if an author has already decided on a setting, there may be an interplay between the characters that the author wants to portray and what can work as a realistic background. It’s also important to note that many great characters have mysterious backgrounds, or backgrounds that are not elucidated until later in the story (Jay Gatsby comes to mind). Ultimately, whether or not your readers connect with your characters will depend on the emotions those characters show as they struggle to resolve their problems, and knowing their personal journey to becoming who they are is at best a secondary issue when it comes to enjoyment of a work (at least for most people). Good luck with your characters, and keep writing.